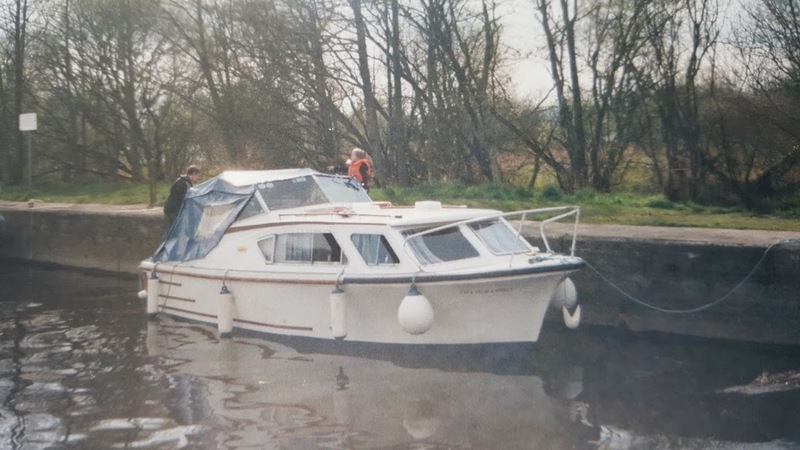 When we sold Trindle we bought a Seamaster 27 called Jerry. It was a terrible name for a boat so we renamed it “An Bhean Eille” it’s Irish for The Other Woman. They say it’s bad luck to rename a boat. Well my experience is that you will have bad luck with every boat whether you rename it or not. 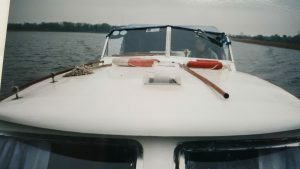 Being a Seamaster 27 she was the first fibreglass boat we’d owned and she had even been a hire boat in a previous life. We felt that we had taken a step up the boating ladder. However An Bhean Eille never gelled with me, I never felt the bond that I had felt with previous boats. 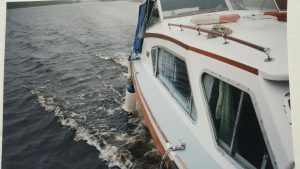 We did a lot of work to her including fitting a complete new galley. 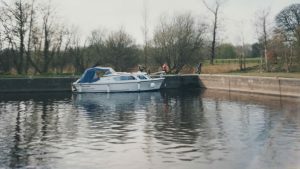 It was a lot more comfortable than any previous boat but there was a vibration when the engine ran that I could never seem to resolve. We even changed the drive shaft but I think the real culprit was probably that the engine wasn’t properly lined up with the drive shaft. She was a good looking boat though and she always started first turn of the key. The two boys liked that they had a door on their cabin! One thing about her was that she was as solid as a rock in rough water. She had two bilge keels and she was from an era when they made fibreglass boats were built about an inch thick. Not the few millimeters you get in modern boats. The weight combined with the bilge keels made for a very stable boat. After about a year I saw another bigger Seamaster for sale… I managed to sell An Bhean Eille overnight at a good profit and that gave me the capital to look at the other Seamaster I’d seen.